Gala Co-Chairman Melissa McKinnie, left, and Lea Bodie prepare to welcome the crowd to Bay Oaks Women’s Assocation Gala. 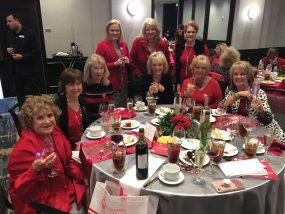 LOOKING AROUND at the Bay Oaks Women’s Association Gala Nov. 14, you might have thought there’d been a mix-up. Some came in evenings gowns and tuxedos… others dressed western as if ready to rodeo. 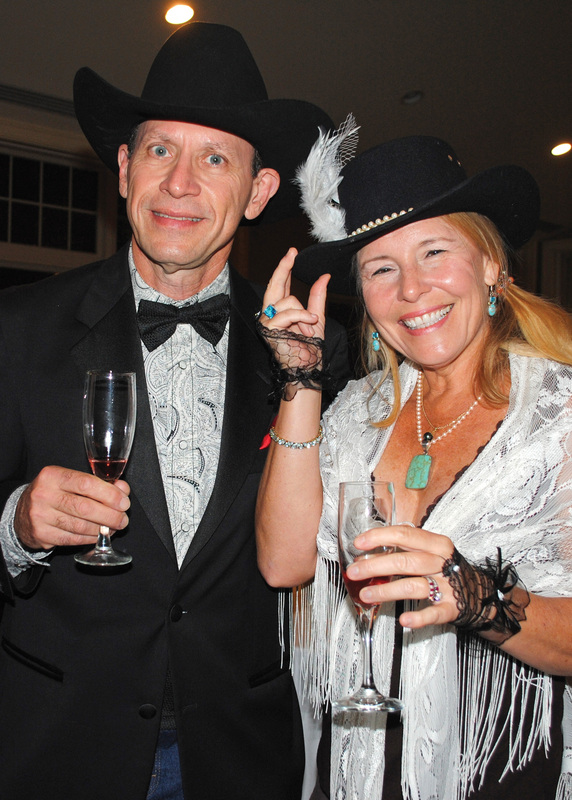 Turns out that’s the way Co-Chairmen Lea Bodie and Melissa McKinnie expected everyone to dress when they sent out invitations to A Night in Paris… Texas. Take your pick – black tie or western. And, that’s exactly what everyone did, which made for a fun evening. A few even combined the two. Carlene Langford topped off her lovely gown with a red cowgirl hat to match hubby Glenn’s pretty red western tie and Santiago Mendoza, who came with his wife, Cindy Villarreal, was one of several who mixed the two themes, wearing a tuxedo, western vest and Stetson. Marty and Matha Kaminsky share a light moment at the reception preceding BOWA’s Night in Paris… Texas Gala. 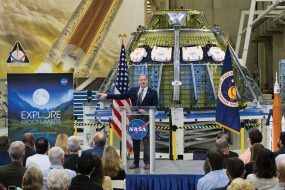 Much to the delight of BOWA President Sue Broughton, who came with Elton Johnson; Dana and Nelson Brown, Suzy and Tog Rogers, Emmeline Dodd and Gene Hollier, Russ and Mary Colombo, Sharon and Dr. Howard Dillard, Bill and Carol Bobo, Karen and Will Reed, and Judy and Bob Raiford. Looking around at all the happy faces at the champagne reception, you probably would have spotted Dan and Joan Burt, just back from Europe; Pat Monks and his wife, Annette Dwyer; Marty and Martha Kaminksy, Mark and Jenny Frantz, Angela and Darrell Bivens, Tonya and Craig Moody, Jim and Janet Greenwood, Mike and Sharon Phelps and Jennifer and Richard Simmons. Others we bumped into included Sharon Griffith, Annette Farrell Klein, Kelli Motley and Michelle Hall. Tracy and Jana Fleshner came to hear their daughter, Aubrie Lynn, sing with the band. Her sister, Sarah Fleshner, Aubrie’s business manager, also was in the crowd. And, after a delightful gourmet dinner with French wine pairings, everyone got to hear her sing as they danced the night away to the music of the Buck Yeager Band. 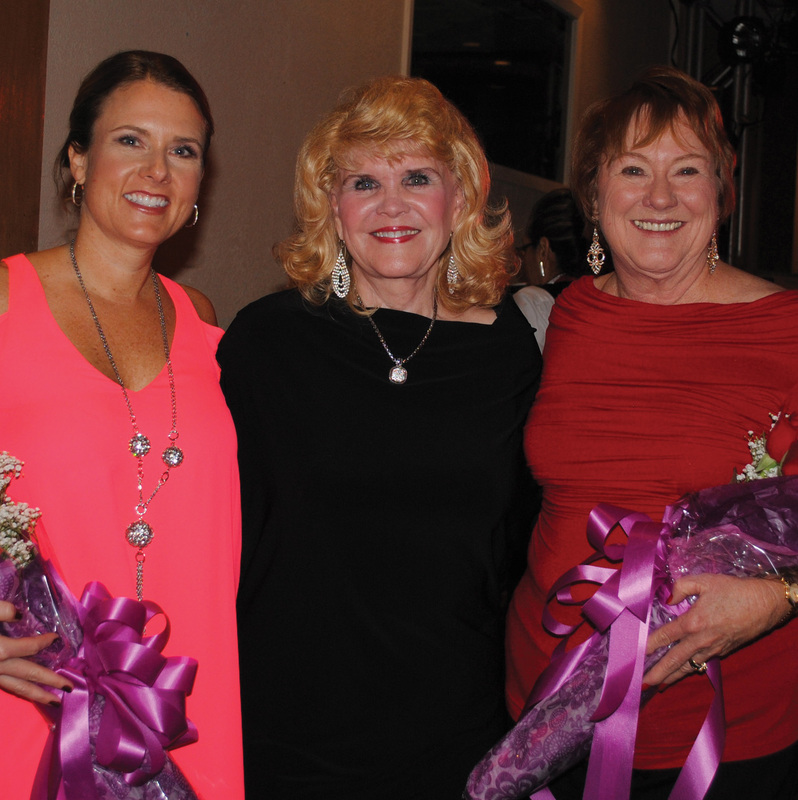 Clear Lake Area Panhellenic President Kay Lee Benoit, center, presents bouquets of roses to Chairman Ellen King, left, and Co-Chairman Karen Weber to thank them for all their hard work putting the fall fashion show luncheon together. GLAMOUR AND GLITZ – the ladies love it, and if you add a bit of Vegas, it’s over the top and you have a grand event. So again this year the Clear Lake Area Panhellenic ladies simply outdid themselves with their annual fall fashion show luncheon Nov. 6 in the South Shore Harbour Resort’s Crystal Ballroom which was packed with a crowd of about 400 including some who just couldn’t miss it and came from out of town. Chairman Ellen King and her daughter, Karen Weber, who was co-chairman, joined President Kay Lee Benoit in welcoming everyone as they signed in with Judge Holly Williamson, Barbara Dickey and Sue Broughton. Looking around, you might have spotted Judy Raiford, Kim Barker, Lisa Holbrook, Belva Dewey, Ann Brady, Tama Brantley, Ginger Pampolina, Joan Burt, Suzie Rogers, Gloria Wong, Lisa Tanzberger, Ann Dooley and Kimberly Fleming just having a grand time as all enjoyed the champagne reception and slowly cruised through the silent auction. And, guess who was serving champagne? None other than the Las Vegas Rat Pack – Keith Dupress Jr., Dan Reason, Quincey Starnes, David Switt, Rick Weber and Eric Westall, playing the roles of Frank Sinatra, Dean Martin, Sammy Davis Jr., Joey Bishop, Bing Crosby and Peter Lawford. 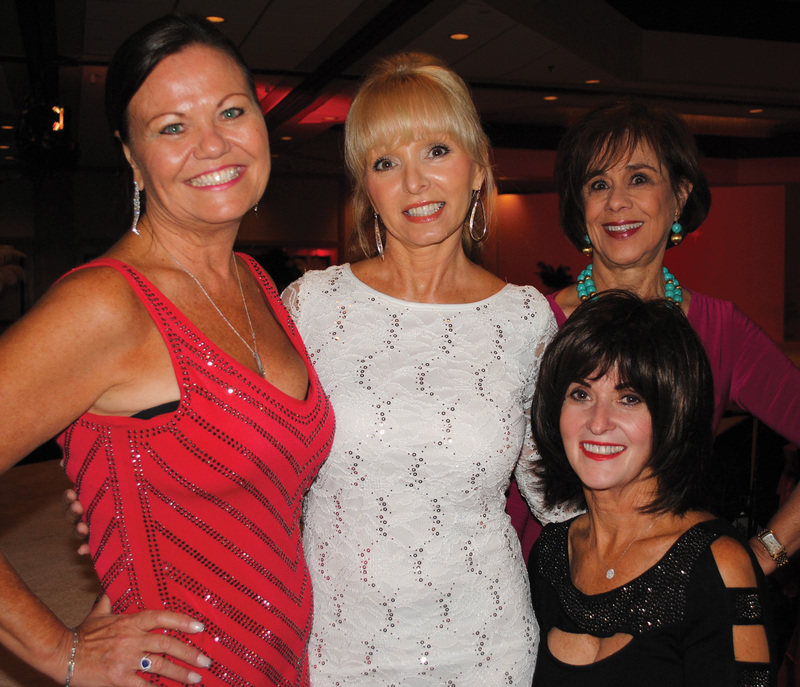 Kimberly Flemming, Tama Brantley, Ginger Pampolina, from left, and Ann Blanchard, seated, were among the many at Panhellenic’s Glamour and Glitz Vegas Style Fashion Show at South Shore Harbour Resort. Backstage, fashion guru Lenny Matuszewsky Jr. was busy putting together another spectacular show, as the dancers from Bay Area Houston Ballet & Theatre lined up to entertain the crowd. And, then it was time for a fashion update with Dillard’s – Baybrook and the models Kathy Akins, Denise Beakey, Jo Cat Bruce, Peggy Clause, Jenny Frantz, Sheree Frede, Becky Hensley, Cindi Hollman, Janet Jones, Robbie Kimbrough, Kim Krist, Christie Matthew, Marcy Ortega, Claire Peters, Allison Precise, Jill Reason, Michelle Richardson, Melody Seavey, Wendy Shaw, Laurie Vaughn and Kathryn Vernau providing a look at the latest styles. Much to the delight of Cindy Demasi, Karen Mccorkle, Renee Ditta, Cindi Ditta Priebe, Jill Smitherman, Pam Ploss, Emmeline Dodd, Diane Vest, Pam Culpepper, Karen Keesler and Ann Blanchard, who were among the many enjoying it all. 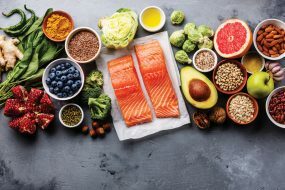 Proceeds from the even benefit the Crawford-Zbanek Scholarship Foundation, which awards college scholarships to area women who are pursuing a college education in Texas. Since 1967 more than $480,000 has been awarded in scholarships to young women representing Clear Creek ISD and surrounding school districts – much of it raised by Panhellenic’s annual style show luncheon.